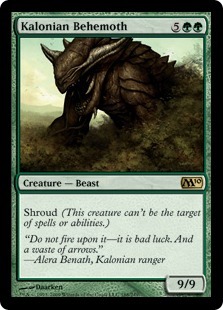 While browsing through mtgotraders.com for a junk rares from M10 to use in a deck, I noticed this giant monster. 9/9 for seven is really aggressive, with a strong ability. Back when I first started playing, people were perfectly happy to pay six mana for a 6/4 without any abilities. 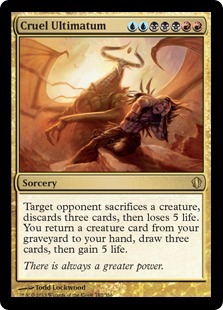 Hell, we LOVED playing 6/4 vanilla creatures for six mana. ... and then what about these? Planar Cleansing costs a big six mana, Martial Coup requires a kicker and seven mana, and Hallowed Burial is a close-to-functional reprint at five mana. So now that Wrath of God has left Standard, it seems like fun to start a deck out with a playset of Kalonian Behemoth and then work from there. If this interests you and you want to beat down with some big creatures, then please read on! So last December I made a deck around Primalcrux. You can read about it here. Here's the list for reference, if you're not interested in checking out the full article. 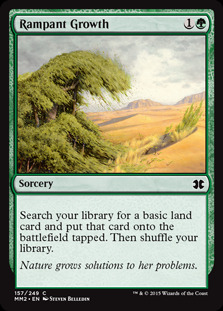 The only adjustments necessary to bring this into current Standard legal is a small adjustment to the manabase and a replacement for Overgrowth. Borderland Ranger, Llanowar Elves, and Farhaven Elf are three options here. Borderland Ranger is probably the safest choice here, but Farhaven Elf actually accelerates our mana development. 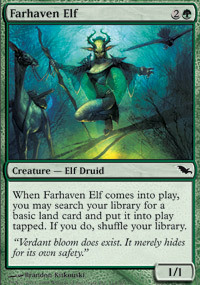 Borderland Ranger has a lot of utility as a 2/2, but I'm going to go with Farhaven Elf. None of these options have quite as much synergy with Garruk's untapping ability, but not many other options do. If you're interested in playing a straightforward mana ramp deck that uses stuff like Rampant Growth to power out stuff like Chameleon Colossus, Deity of Scars, and Primalcrux - then you could definitely do a whole lot worse than this deck. There's also a budget version towards the end of the linked article above if that's more your style. Today I want to make another deck based on huge green creatures. I want to make this one a little less straightforward than the previous effort... so be prepared for some jank. Let's say you want to play a deck with huge creatures in it, creatures that you normally shouldn't have business playing with. I want to talk about a few different methods that can be used in this situation to get our giant spells into play. 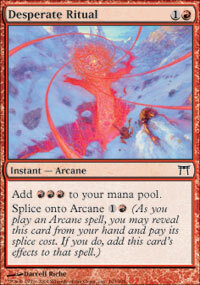 As discussed above, ramping up mana is one way to cast spells that are above the typical curve. Another classic strategy here is to find some way to get your creature into the graveyard and then utilize under-priced reanimation spells to cheat the bug guy into play. Back when I first started playing, one of my favorite moves was to intentionally not play anything on turn one in order to discard Baron Sengir and then Animate Dead the big guy into play. Ahhh, those were the days. 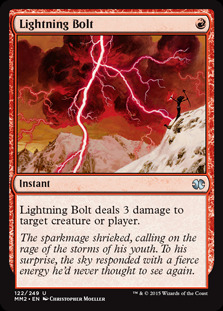 Lots of big effects that you see played are win conditions in slow control decks. 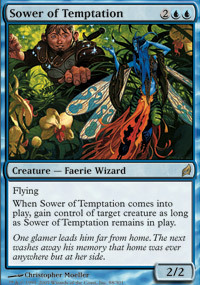 Simic Sky Swallower, for example, was played in UG control decks while Ravnica was around. The big guy generally came down late in the game once the deck already had control and plenty of time to accumulate mana through lands or Signets. Every once in a while, Wizards prints a card that basically just lets you cheat something into play without paying for it. 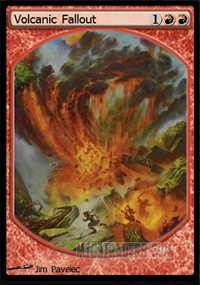 Sneak Attack was played some during Urza's block combo-style, sending Crater Hellions and Thorn Elementals into the red zone for just one red mana. Windbrisk Heights has been used all through the last year or so to turn a few attackers into something amazingly strong. Polymorph has been played in decks with Darksteel Colossus and a few ways to generate creatures without playing any other creature cards - something like Faerie Conclave or Raise the Alarm. 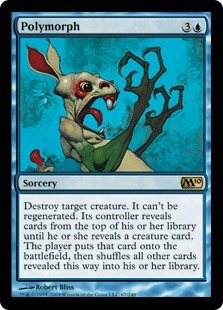 That way when Polymorph resolves, you always get an 11/11 trampler. Mentioned above, puts something into play as long as you're able to attack with three creatures. 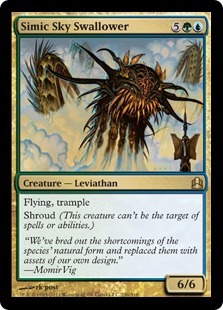 If we're playing big creatures, then this one seems to fit in well with our theme. Ten power is not really all that difficult to achieve. Tough to make work unless we're playing some kind of dedicated mill deck, which is mostly at odds with winning via big creatures. If we get a big creature through the red zone, then this one should be able to trigger. 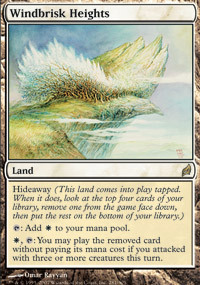 This is the only hideaway land that I've never actually seen fire off. Requires a heavy blue component, also requires the card you want to cast to be on top of your library. This is sort of a new version of Sneak Attack. 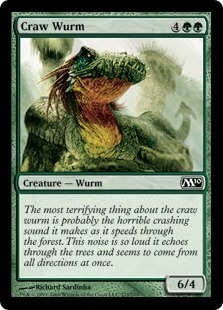 Since I'm thinking about building around big green creatures, then this card should fit right in. I love this card. Maybe it will fit in here or maybe it should have a whole deck for itself. Another one that we'll probably use. A casual favorite that lets you get any creature into play for just one green mana. This one is absolutely great. 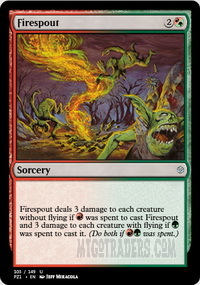 Five mana, instant speed, puts any creature into play assuming that we are running green dudes. For a while, I was convinced that this was pretty much the strongest turn one play available. Swords to Plowshares kind of ruined my day, but way back in the day this wasn't really on my radar. Believe it or not, this type of thing can actually be somewhat competitive. Check out one of my favorite decks of all time from last year's Extended season. Back in Standard, there was a semi-competitive deck that used a similar concept. Instead of Rituals, this one uses a whole ton of little mana producers. Birds of Paradise, Noble Hierarch, Devoted Druid, Llanowar Elves, and Overgrowth all charge up the mana development here. 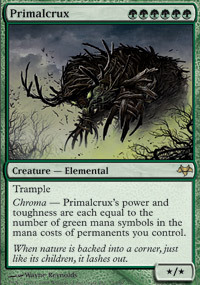 With a ton of green mana this one casts giant monsters like Primalcrux. This All In Green deck is similar in strategy to the Primalsmash deck I showed above, except with a different implementation. Running things like Garruk Wildspeaker, Gift of the Gargantuan, and Primal Command instead of a million 1/1 mana generators reduces the explosiveness of the deck some - but gives it more of a long game. This list runs a bunch of different ways to cheat stuff into play: Elvish Piper, Impromptu Raid, Mosswort Bridge, and Dramatic Entrance. Rampant Growth and Borderland Ranger help accelerate us into these business spells. I'm going to start off with full playsets of Progenitus, Kalonian Behemoth, Woodfall Primus, and Doomgape. I decided to choose mostly creatures that we have a chance of casting even without cheating them into play, other than Progenitus which is king. Cream of the Crop is a card that I've always loved, and should be really useful in this deck. Based on the ridiculous power of the creatures that we're running, pretty much every time we get one into play Cream of the Crop should allow us to tutor just about any card we want to the top of our library. I'm not exactly sure about the ratio of cheat/creature/ramp that we want in this deck, but it's something that will come out of playtesting. If we end up with too many creatures in hand that the deck is unable to cast, then we probably want to adjust the blend. Time to get testing! I start off with Rampant Growth and then Elvish Piper. My opponent casts Firespout to get rid of the Piper and then lays down Wall of Denial. I have enough mana to Dramatic Entrance for Progenitus, but I also have another Rampant Growth and Borderland Ranger to give me enough mana to hard cast Kolanian Behemoth. I decide to go with this plan to bait counterspells or whatever. Woodfall Primus comes down the next turn as I get my eighth mana and blow up a land. My opponent uses Esper Charm to draw a couple of cards and then Bant Charm to put the Primus on the bottom of my library while chump blocking my Behemoth with his Wall of Denial. I play Mosswort Bridge and then my opponent taps out for Austere Command to clear out the creatures. I use Dramatic Entrance for Progenitus at the end of his turn for the concession. 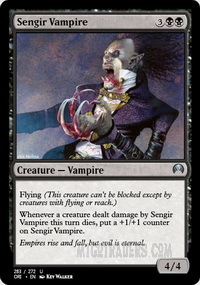 Analysis: Waiting on Progenitus was definitely the way to go here, especially against something like five color control. Not only did I have the Progenitus via Dramatic Entrance, but I also had one under my Mosswort Bridge! Any deck that can bring double Progenitus into play on the same turn is ok by me. Never mind that silly Legend rule! My opponent comes out with Akrasan Squire, Aven Squire, and then Ardent Plea into Sigiled Paladin. I kept a sketchy hand with too many big creatures, and I'm not able to get anything at all in play before I die to the exalted beatdown. Analysis: This is one game worth of evidence that there are too many big creatures in this deck. We'll see how the next few games go. I start off with Rampant Growth, Rampant Growth, and then Cream of the Crop. My opponent plays Druid of the Anima into Woolly Thoctar and goes into the red zone - but I'm ready to ambush him with Dramatic Entrance into Progenitus. 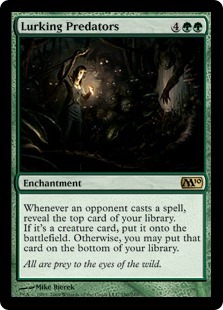 This also lets me to use Cream of the Crop to setup another Dramatic Entrance into either Progenitus or Woodfall Primus depending on what I need next turn. My opponent concedes. Analysis: At the end of this one my opponent reveals his hand of triple Path to Exile, which doesn't do anything to handle Progenitus. I have to mulligan down to five, my first two hands were totally devoid of acceleration. My opponent casts Hellspark Elemental and then Shambling Remains. I cast Elvish Piper and get Progenitus into play, but my opponent is able to Lightning Bolt the Piper and then bring Fleshbag Marauder into play. Sacrificing Progenitus is not a lot of fun! I put Woodfall Primus underneath Mosswort Bridge. 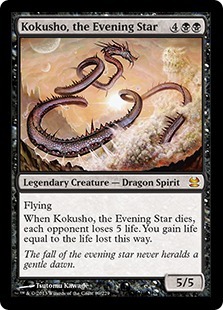 Sarkhan Vol comes down and starts gaining loyalty counters, unfortunately there's nothing I can do about it. Hell's Thunder starts to beat down, Hellspark Elemental gets unearthed, and I'm finished off by five dragons. Analysis: I'd expect to win most games where Progenitus is resolved, especially early on in the game. There are very few outs in Standard to this board position, but sometimes your opponent is going to have one of them! I was unable to recover from the loss of Progenitus, with a hand full of big dudes. I had some Mosswort Bridge action, but was just one mana/turn short of being able to activate it as Progenitus went down. There are two things to bring up at this point. The first thing is that I have no idea what Doomgape is doing in this deck! I think that was just a momentary lapse of reason. I was thinking that it would be pretty sweet to Impromptu Raid this guy into play as a 10/10 trampler, but there are just way too many downsides. There are lots of times where the big guy is dead in my hand since I don't want to cast him and lose some monster that I already have in play. In addition, we're a little heavy on the giant creatures. There have been a bunch of situations where I just had too many big guys, so I'm going to cut down the number a bit. Doomgame is obviously the one to go. I'm going to add in a few copies of Garruk Wildspeaker. Not only does this guy come out for a reasonable amount of mana, but he also provides some early defense. In addition to this, Garruk help to ramp our mana. 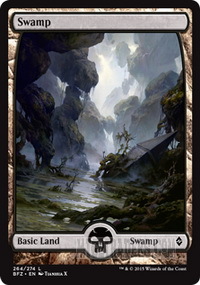 Rampant Growth comes out in favor of Fertile Ground, so that we have the potential for ramping even more when an enchanted land is untapped via Garruk. Time for some more test games! My opponent mulligans from seven to five to four to three to two to one - into a concession. I start off with Mosswort Bridge into Cream of the Crop - lame. My opponent plays Figure of Destiny, Jund Hackblade, (Goblin Deathraider), and Goblin Chieftain. I cast Borderland Ranger and then Dramatic Entrance out Woodfall Primus, but it's too late and I taste the beatdown. 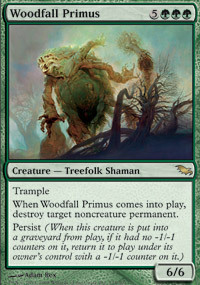 Analysis: I managed to get Woodfall Primus out, but didn't have any good targets for the 'destroy target noncreature permanent' ability. This is becoming somewhat of a recurring theme. I'm considering switching the big guy out for something with either more raw power, a lower cost, or a more relevant ability. I start off with Mosswort Bridge on Progenitus, and then follow up with Mosswort Bridge on Kalonian Behemoth. I cast Borderland Ranger, but Broken Ambitions ruins that plan. Fertile Ground resolves, and then Essence Scatter counters another Borderland Ranger on turn four. Cryptic Command bounces my Forest with Fertile Ground, and then Infest takes out a Borderland Ranger - number three, which I had just managed to resolve. 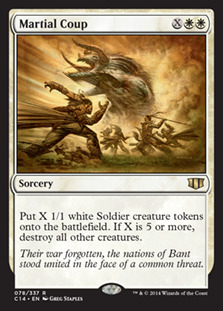 I get Garruk Wildspeaker into play and create a beast token, which lets me get in for a bit of damage. Mulldrifter comes into play and flies over to take down Garruk. Hallowed Burial takes down my beast tokens, and at this point in the game I'm mana flooded. I've got five Forests, two Mosswort Bridges, and then three Forests in my hand. I draw and play Cream of the Crop while my opponent draws cards off of Esper Charm, and then makes me discard Forests with another Esper Charm. I cast Impromptu Raid, but another Cryptic Command stops that plan. Esper Charm draws more cards, and then Enigma Sphinx comes into play. While this is going on I manage to resolve Garruk and create a beast - but Enigma Sphinx takes Garruk and then Hallowed Burial clears the board again. I was able to use Cream of the Crop to setup Kalonian Behemoth, and then Cream of the Crop for nine to setup Progenitus AND another Behemoth on the next turn (via Mosswort Bridge)... but Planar Cleansing wipes out everything. I manage to hardcast Kalonian Behemoth, but another Hallowed Burial clears him out. Enigma Sphinx comes back into play and finishes me off. Analysis: This deck was the worst possible matchup for mine. Not only was he playing a tough strategy for my deck to handle, but he was playing a ton of super-powerful cards: Cryptic Command, Hallowed Burial, Planar Cleansing, etc. Even through all of that it came down to one turn where my opponent had one card in hand, and it needed to be Planar Cleansing or Hallowed Burial number four. He had it, so my giant turn was screwed up and I wasn't able to recover. Tough deck, close game. I start off with Cream of the Crop and Borderland Ranger. My opponent plays Nightshade Stinger into Oona's Blackguard, I come back with Elvish Piper. Marsh Flitter hits the battlefield and those tokens are REALLY scary swinging +1/+1 counters and discard. I use Mosswort Bridge to tuck away Woodfall Primus and my opponent comes back with Violet Pall on the Piper. 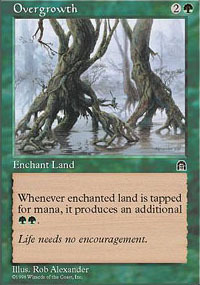 In response I Piper a Woodfall Primus into play, but don't have any better targets than basic land. My opponent plays Diabolic Tutor, but I'm able to Dramatic Entrance Progenitus into play during combat to screw up his math and then swing for the win. Analysis: I went down to two life in this one, and had to discard a bunch of cards thanks to Oona's Blackguard - but managed to pull this one off in the end. Dealing with an early aggro rush the caliber of Rogues can be tough, but a well placed Progenitus sure screws up combat math quite a bit. I'm going to make a few small changes to the list. I've played eight games and haven't been able to trigger Impromptu Raid once, so I'm going to try a version of this deck without them. I'm also going to remove a copy of Elvish Piper in order to make room for another 'cheat creature into play' card: Lurking Predators. This card seems like a lot of fun. Considering the caliber of strong creatures in the deck, it gives us a decent chance of putting a giant monster into play whenever our opponent casts a spell. Just try not to hit Progenitus when you've already got one in play! My opponent plays out Vivid Grove and Vivid Meadow, I play Fertile Ground and then Borderland Ranger into my third land drop. This allows me to Dramatic Entrance Progenitus into play. My opponent tries to cast Silence in response to Dramatic Entrance, but this doesn't do anything. I get Borderland Ranger into play, followed by Garruk Wildspeaker. 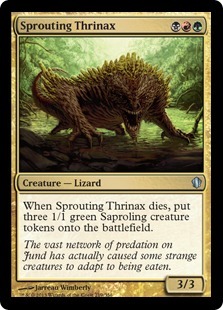 My opponent plays Veinfire Borderpost into Sprouting Thrinax. I trade a beast for the Thrinax, and then accelerate into Lurking Predators. Terminate takes down my Borderland Ranger, and tokens take down Garruk. Blightning makes me discard two Forests, and I come back with Elvish Piper. Chandra Nalaar comes into play and takes down Elvish Piper. Lurking Predators has whiffed a bunch of times at this point, but what are you going to do? My opponent casts Dragon Broodmother and I take it hard for the win. Analysis: Lurking Predators sounds awesome, but it didn't work out in this game. The other bummer was that I didn't draw any ways to cheat creatures into play. In this one I either had a hand full of Forests or big creatures depending on the gamestate. My opponent plays out Noble Hierarch and I Mosswort Bridge away Kalonian Behemoth. My opponent casts another Hierarch, and then Ponders. I use another Mosswort Bridge to hideaway Progenitus, and my opponent gets Cradle of Vitality. Kitchen Finks comes into play and Cradle of Vitality starts to grow creatures. Finest Hour hits the table and I have to chump block with Garruk tokens, but still take a ton of damage. My opponent starts another attack phase and then "ggs" me, but I have Dramatic Entrance for Progenitus to take down a huge Kitchen Finks. We play draw-go for a while, and then my opponent plays Battlegrace Angel. I manage to cast Kalonian Behemoth, and then put another one into play via Mosswort Bridge. I can't block the lethal Battlegrace Angel even though I have a 10/10 and two 9/9s. Analysis: Here's something to be aware of with Finest Hour - exalted is going to trigger twice, and the +1/+1 bonus doesn't wear off until the end of turn. That means the creature is going to be bigger on his second trip through the red zone. If you're planning on chump blocking a Finest Hour-aided attacker, then make sure to do it in the second combat phase. This will save you life at least equal to the number of exalted triggers. This game was an example of a huge bummer: Progenitus in play without the ability to attack due to low life total and a counterattack. This situation doesn't come up a ton, but it does happen. One more serious problem in this deck is the lack of any defense in the air. 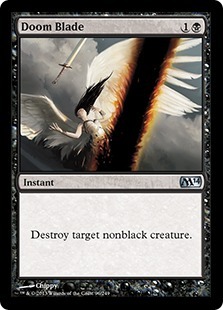 As described above, I ended up with twenty-nine power in play... with no ability to block one flying Angel. 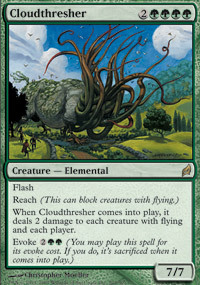 I know the solution to this one, more Cloudthresher. In addition to this update, I'm going to try swapping out Borderland Ranger for Farhaven Elf. Farhaven Elf isn't as big of a body (1/1 vs 2/2), but he actually accelerates the land into play - we don't have to wait for a land drop. This type of thing is especially important with this particular deck. If we land Farhaven Elf, then we should be able to cast Dramatic Entrance on the next turn. With Borderland Ranger, we have to wait an extra turn. I start off an Mosswort Bridge an Elvish Piper while taking beats from Hellspark Elemental. My opponent plays Quietus Spike while I cast Farhaven Elf into Garruk Wildspeaker and a beast token. My opponent casts Stigma Lasher and Jund Hackblade, but doesn't have a great attack. He plays out another Stigma Lasher. I end up trading for his entire team, while using Dramatic Entrance into Kalonian Behemoth as an ambush. I should have seen this coming, but Kulrath Knight hits the table and now my win condition can't attack! I take a hit from Quietus Spike and my opponent casts Goblin Deathraiders. I take another Quietus Spike hit and go down to two. I use Progenitus to ambush the Goblin Deathraiders, and then attack back for the win. Analysis: This one was a lot of fun, and it reminded me of the power of -1/-1 counters in Shadowmoor/Eventide. Stigma Lasher is such a powerful card, and even Kalonian Behemoth doesn't come out of that battle unscathed. This game was great, my early chump block ended up buying me exactly enough life to win on the Progenitus crackback - isn't it fun when it works out that way? Alright, that about wraps it up for this one. I talked about a whole bunch of different ways to get expensive cards into play, put together a deck capable of playing double Progenitus on the same turn, won a bunch of games, and lost a bunch of games. This is definitely not the most consistent deck in the world, but it sure is a lot of fun to play. One really cool thing about it is that the creature choices are very interchangable, which makes customizing a version for your budget/collection pretty easy. Don't have Progenitus? Try Deity of Scars or whatever big monster you have kicking around. On a budget, Garruk probably also leaves in favor of something like Devoted Druid. If you want to try this strategy in other formats, then there are a bunch of fun options. 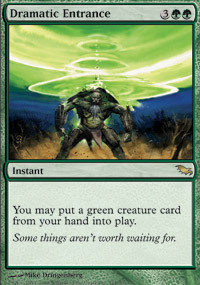 Worldly Tutor can move a creature to the top of your library at instant speed for just one green. Congregation at Dawn requires white, but allows you to stack your deck with a few turns worth of giant beaters. Sensei's Divining Top not only lets you control the top of your deck for Lurking Predators, but also improves consistency. I'm sure there are plenty of other fun options out there, check them out! Join me next time for another edition of casual deck doctor based around a different way to get more than you paid for. You forgot Warren Weirding the poor mans efficient untouchable removal. 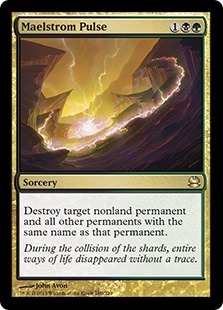 I really hope the next set has a spell like this because such a spell is really needed for all the protection, indestructable, and shroud creatures. Good call on Warren Weirding... If it's good enough for Classic/Legacy, then it's good enough for casual Standard! I just saw that and felt pretty dumb. Oh well! 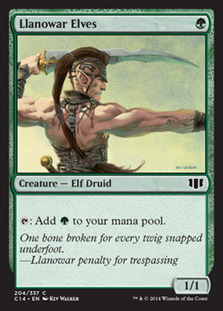 Lurking is pretty good but you really need the mana ramp like Elvish Archdruid and other elves to get it out early. I've been working on a few versions of a Lurking deck to cheat fatties or other multi talented creature cards out, I just havent found the right mix yet. Of course Lurking is even better in 2gh and other mutiplayer games. Cool man, mind posting your list? 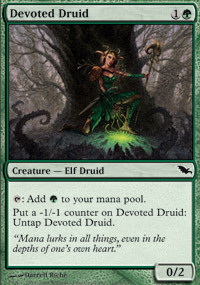 I never even thought of Elvish Archdruid - sounds like a cool deck. This was one of my first Lurking decks that worked out well. Llanowar/Farhaven/Archdruid are the mana ramps but Thorning and Colossus being shapeshifters also help with Archdruid. Terra to thin the deck to make Lurking work faster and the Spirals are there to rescue any early keys that hit the gy (lurking/archdruid). With 32 of 60 being creatures gives you great chances with Lurking, the only real problem is not being able to tutor a lurking which is why I kept it mono green as you could still cast everything and not have a dead hand, you just need a ton of mana lol. So then I made a GW STD version with Idyllic to hasten Lurking out. Gone are the Regal Force since drawing a bunch of high cc creatures kinda went against the point of Lurking and once with multiple Lurkings out I almost decked myself when 2 Regals hit the scene at one time. I also added Mirror Entity another friend to Archdruid both to generate more mana and a place to put mana in the late game. I know this is a long response, sorry. Not too long ago Dramatic Entrance was a bargain at $1.10. I would only occasionally see it at bots that sold cards for 1 tix. Now MTGOTraders has it for just 60 cents? And they only have 4 left. Well, 8 before me. And your article just launched. They'll probably sell the last 4 pretty quick. I'm going to play a slightly different classic-legal list, but I will still use the Behemoth. He needs trample, but he has shroud. Hmm. Be right back. 1) did he play essence scatter??? 2) why did he play essence scatter on civic wayfinders? 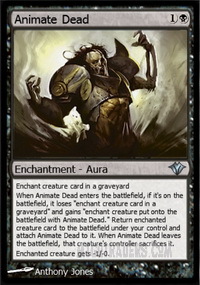 3) why did he hallowed burial 1 turn before planar cleansing? That was a great proof of the low level of casual players on modo. Nobody would confuse that match with the finals of a pro tour, that's for sure. I mean I see tourney quality cards in casual all the time and I play with some of them myself. My decks tend to be a bit roguish but that is preference mainly. 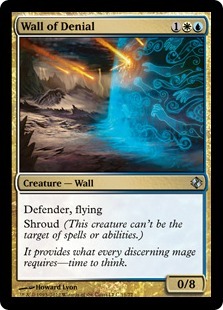 The interesting thing is if a person is piloting a well known deck archetype but they don't know it themselves, they are setting themselves up for a beating and they may decide that the deck is really more jank than it actually is, just because they lose to their own misplays and their opponent's capitalization of those misplays. Luck also plays a part. A person can be a complete novice with a good deck and still win against a veteran player. It doesn't happen that often but it does happen.